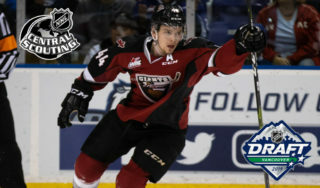 Tonight at the LEC the Vancouver Giants return home to start a two-game home stand when they take the ice for the first and only (regular season) appearance of the season against Canucks prospect Jett Woo and the Moose Jaw Warriors. The Giants will take aim at their sixth straight victory while the Warriors bring their own three-game winning streak into tonight’s contest. For what it’s worth, the Giants are 4-0 against teams from the Eastern Division. 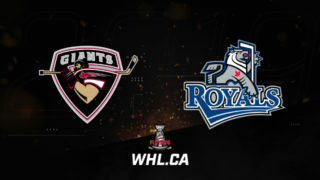 Last Game: A 4-0 victory last night in Victoria against the Royals. 20-year-old forward Tristin Langan comes into tonight’s game with a team-leading 36 goals and 74 points. Last night in Victoria, Langan scored three goals, all of which came in the second period in a span of eight minutes and 30 seconds. All-told, Langan has four hat-tricks this season. Only Portland’s Joachim Blichfeld has scored more goals (38) than Langan has this season. 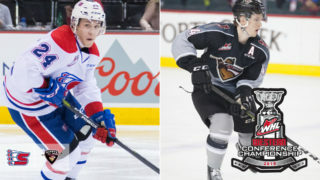 Jett Woo was selected by the Vancouver Giants in the second round (37th overall) in the 2018 NHL Draft. So far this season the 2000-born defender has already posted new season highs for assists (29) and points (37). Coming into action today, Woo sits fifth in team scoring. 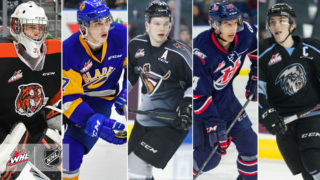 Originally selected fourth overall by the Warriors in the 2014 WHL Bantam Draft, Woo has represented Canada on numerous occasions including: The World Under 17’s, the World Under-18’s and the Hlinka Gretzky Cup. Coming into tonight’s game, Jett Woo has recorded a goal and two assists for three points over his past three games. Pittsburgh Penguins prospect Justin Almeida brings a four-game point streak into tonight’s matchup with the Giants. Last night Almeida assisted on all three of Tristin Langan’s goals and over the course of his current four-game point streak, he’s scored three goals while adding six assists for nine points. Last season Almeida set a new career high for points with 43 goals and 55 assists for 98 points. He sits second on team scoring this season behind only Tristin Langan. 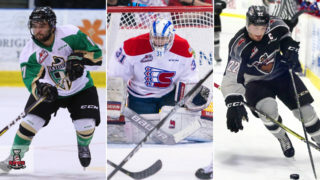 20-year-old forward Davis Koch is enjoying one of the best offensive stretches of his entire WHL career. Over the course of his past five games, Koch has compiled four goals and nine assists for 13 points. During that stretch he had four straight games with goals and four straight games with two-or-more points, marking the first time that he has ever accomplished that scoring feat. A veteran of 295 career WHL games, Koch comes into tonight’s game leading all Giants in scoring with 46 points through 42 games. Koch and his linemates Tristen Nielsen and Jadon Joseph have been red hot as of late, combining for 29 points over their past five games together. Koch has notched four game-winning goals this season for the Giants and leads the team with 18 power play points and 14 multi-point games. Last night the veteran trio of Jared Dmytriw (2G), Dawson Holt (3A) and Owen Hardy (2A) combined for eight points in the second period, and really helped the Giants turn the tide. Offensively those three had been quiet in recent games, so for them to step up was huge for the Giants who have relied heavily in recent games on Davis Koch, Tristen Nielsen and Jadon Joseph to supply the offense. Another big game tonight from Dmytriw, Holt and Hardy would be massive for the Giants. 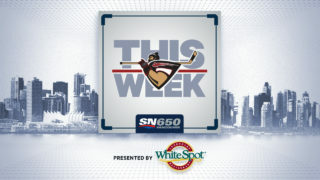 The Vancouver Giants have 17 home victories, which is tied for most in the Western Conference. The Moose Jaw Warriors have 15 road victories, which is second to only the Prince Albert Raiders in the Eastern Conference. The Giants have not lost at home since December 14th (A span of three games) while the Warriors are 3-0 so far on their current road swing. One of the above streaks will come to an end tonight.